A medium voltage electrical contractor, Butterfield electric has the expertise to install and maintain 600 volt to 34,000 volt equipment and cabling efficiently and safely. Our technicians are fully trained and experienced in medium voltage systems understanding the many additional considerations and procedures not usually found in low voltage systems. We ensure that your medium voltage system is well maintained and that the electrical distribution, cabling, conduit systems and terminations are put together seamlessly. Experienced with many of the leading software notification systems such as APC and Liebert. Be sure to review our process control services. Process controls are extensively used in production lines equipped with medium voltage production equipment such as conveyors and mixers. Butterfield Electric programmers have a complete understanding of both the process and the operations of the manufacturing process. 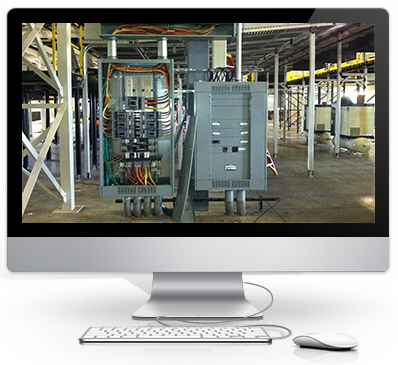 Our extensive experience allows us to design any panel around PLCs such as Allen Bradley, Siemens, Idec and more.